Then the righteous will answer Him, saying, Lord, when did we see you hungry, and feed you, or thirsty, and give you something to drink? When did we see you a stranger, and invite you in, or needing clothes and clothe you? 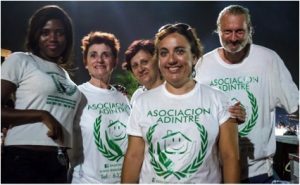 The Ark supports those in need in Fuengirola… as well as in Haiti. 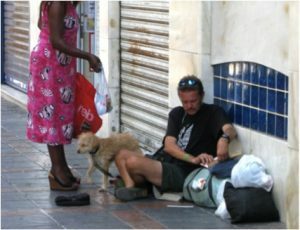 Our donations go to International Child Care Ministries in Haiti to feed street children and have done for over twenty years. ICCM feeds 20,000 children a day from a network of 54 schools they run. For most of these children it is the only meal they recieve each day. 100% of the money donated to ICCM for their Haiti Food Project is spent on food, and they charge no deductions or fees to these funds. 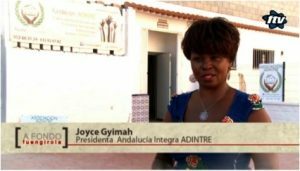 In 2002, Joyce Gyimah Amponsah, who gave her life to the Lord in The Ark Christian Fellowship in 2001, decided to put her faith into action by giving out food to the homeless on the streets of Fuengirola. 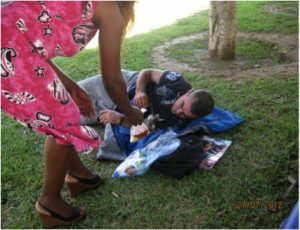 It was the start of a ministry that had grown out of the Ark’s mission to care for the homeless. Her vision was to create a centre for social integration in the town, to not only meet many of the needs of the dispossessed but to help a number of other groups such as children, single mothers, abused women and the elderly, a place where she could minister to people and save souls. With that in mind she created the Adintre Association, a non-profit registered charity. 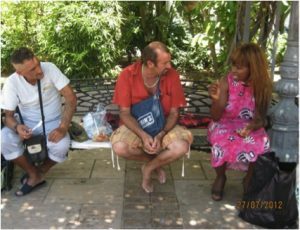 In 2012, she was given premises by The Ark where she could cook, provide grooming and showers and a change of clothing for the homeless and attend to the needs of other people in desperate situations. She thought Adintre had found its home for the future. 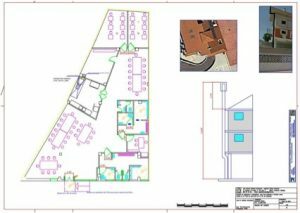 However, following complaints from the neighbouring shops about the people she was attracting into the area she was forced to move out. Undeterred, she contin ued her ministry from home while praying for a solution until in 2015 she encountered the premises she currently rents and which she has reformed at a cost of nearly 100,000 euros as a result of generous donations by individuals, the Lions Club of La Cala de Mijas and the money raised by Adintre from their Saturday market stall and other sales of secondhand items. God also provided her with an architect and other professionals who donated Adintre their time. 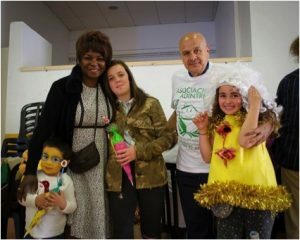 Joyce has become well known in Fuengirola for her work having made several appearances on television and through her contacts with other charities and the local council. She has earned widespread respect and, through her example, broke n down some of the barriers that can exist between Africans and Europeans. 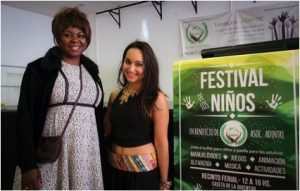 She is actively showing how immigrants – she arrived in Spain in 1984 – can make a difference to lives in Europe. In 2016 she was given two awards including the prestigious VA Foundation annual award for solidarity. 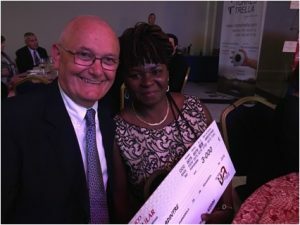 In 2017, as part of the celebration of International Women’s Day she was given a further award by the local authority in recognition of her social work. 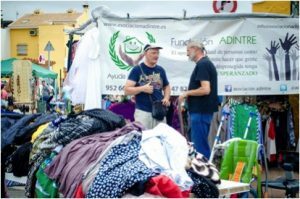 The Association receives no public funding & depends entirely on donations & funds raised by a weekly market stall & special events. 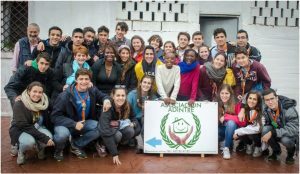 However, it is supported by highly prestigious schools (including the Ark Christian School) and hotels in the area which all appreciate the value of the Adintre mission. Since the Adintre day centre opened in March 2017 Adintre has ministered to the homeless and provided breakfast and a quality, hot, three-course meal, three times a week. 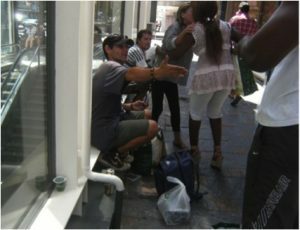 Showers are available & Joyce employs a social worker to help get her clients off the street. 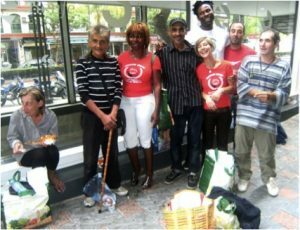 Once a week the premises becomes a distribution centre for food to be taken home by the poor and needy who have a roof but little more. Joyce continues to need your prayers to send her volunteers and for sponsorship. If you can help, you can call her on 632 824782. More photos depicting the work of Adintre.